Companies that regularly increase their dividend show confidence in their ability to grow earnings. I monitor dividend increases to identify candidates for further analysis. In the last week, 28 companies on my watch list announced dividend increases, including three of the stocks I hold in my portfolio. Part 1 of this article covered stocks in the Financials sector. This is Part 2, which covers the non-Financials. Companies can only increase their dividends regularly if they manage to grow earnings sufficiently. Monitoring dividend increases for stocks on my watch list helps me to identify candidates for further analysis. This past week, 28 companies on my watch list declared dividend increases, including three of the stocks I hold in my portfolio. Part 1 covers stocks in the Financials sector, while Part 2 will cover the non-Financials. Welcome to my 17th quarterly review of DivGro, my portfolio of dividend growth stocks. I adopted the strategy of dividend growth investing (DGI) just more than four years ago after being inspired by several do-it-yourself DGI bloggers. It has been quite a journey! My quarterly reports summarize the actions I've taken during the preceding quarter. 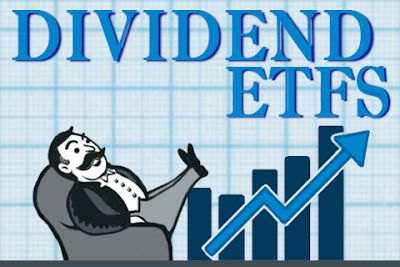 I include summaries of dividends received and I report on changes that would impact future dividend income. In the first quarter of 2017, I transferred our trust account from Scottrade to Interactive Brokers, which provides a more flexible trading platform and lower commissions. I'm taking additional consolidation actions, including transferring our IRAs to FolioInvesting where I'll be managing them as part of DivGro. As I mentioned in my Monthly Review for March, I'm finding it challenging to keep DivGro up to date, as work is occupying much of my time. So this update is quite a bit late! 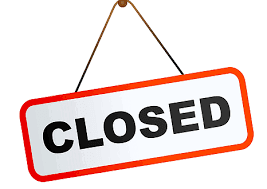 In fact, last Friday was option expiration Friday for April, so the clock is already ticking for my next options update! This week, 15 companies on my watch list declared dividend increases, including one of my DivGro holdings. 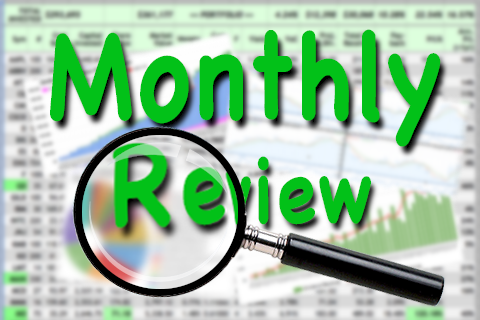 I'm a little late with my monthly review for March. Work continues to occupy most of my time, so I'm finding it quite challenging to update DivGro. I'm certainly not complaining about work... it is better to have too much work than not to have enough work. But it would be great to have just enough once in a while! In March I finished the consolidation of my wife's traditional IRA's into a single account at FolioInvesting, where I'll be managing it using DivGro's strategy of dividend growth investing. I retained one of her stocks, UnitedHealth Group (UNH), which happens to be DivGro's 8th home run! 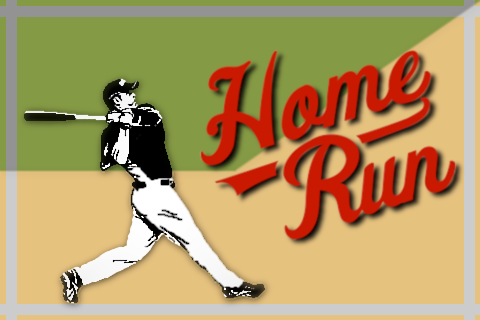 I use the term home run to describe any position in my portfolio that has crossed the 100% mark in total return. In my days as a trader, I sold half of my shares when a position became a home run position. I justified the action by saying that now I'm playing with "house" money. I no longer think that way. In fact, I'm more than happy to hang on to home run stocks and to continue collecting their growing dividends. I announced DivGro's seventh home run on 27 October 2016, nearly two years after announcing the first. Today, I'm happy to announce that I've scored another home run with DivGro! Covered call trading is a two-edged sword. 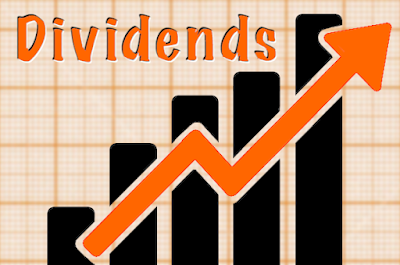 It provides a way to generate options income and so boost dividend income. You sell someone the right to buy shares you own at a predetermined price, called the strike price. For that right, the options buyer pays you an options premium. I report my options trades monthly, usually after option expirations date. I'm yet to report on my options trading activity for March, but you can see February's report here. When I sell covered calls, I'm well aware of the potential drawbacks. The stock price can move quickly above the strike price and you have to sell your shares. You leave money on the table and, assuming the strike price is above your cost basis, you have to pay capital gains tax. Finally, you give up future dividends. This week, nine companies on my watch list decided to increase their dividends, including three of the stocks I own. Only one stock announced a double digit percentage increase. I invested in closed-end funds (CEFs) in my Scottrade account before consolidating my investments and bringing them into the DivGro fold. Aside from the attractive yields on offer, I liked having a few target holdings for Scottrade's flexible reinvestment program, or FRIP. Much like DRIPs, Scottrade's FRIP allows investors to collect dividends in a special account and reinvest the money periodically. Now that I've moved to Interactive Brokers, at least one of the reasons for holding onto these CEFs has disappeared. Of course, giving up those higher yields is difficult, so I decided to close only two of the three CEFs I owned. I love David Fish's CCC list of dividend growth stocks trading on U.S. exchanges. Updated every month, the CCC list contains more than 800 stocks with at least five consecutive years of higher dividend payments. The accompanying spreadsheet provides key statistics of the CCC stocks and is a wonderful source for dividend growth investors. 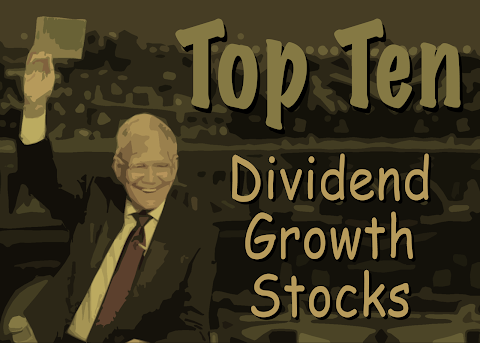 In my monthly 10 Dividend Growth Stock series, I identify 10 CCC stocks worthy of further analysis. To create the list, I trim the CCC list using various screens. I rank the trimmed list and assign a 7-star rating to each stock. Stocks rated 5-stars or better are worthy of further analysis. Founded in 1974 and based in Minnetonka, Minnesota, UnitedHealth Group Incorporated (UNH) is a diversified health and well-being company with core capabilities in clinical expertise, advanced technology and data and health information. The company provides medical benefits to customers in the United States and more than 125 other countries. UNH operates through four segments: UnitedHealthcare, OptumHealth, OptumInsight, and OptumRx. UNH is a Dividend Challenger with a streak of 7 years of dividend increases. It pays quarterly dividends in March, June, September, and December. The current dividend is 62.5¢ per share, so UNH yields 1.52% at the recent share price of $162.96. UNH has an impressive 5-year DGR (dividend growth rate) of 31%. Recently, 5 companies on my watch list declared dividend increases. No stocks I hold in my portfolio announced any increases last week. CVS Health Corporation (CVS) ranked third in the March edition of my 10 Dividend Growth Stocks series of articles on Seeking Alpha. The stock is trading down more than 30% from an all-time high price of $113.45, recorded in July 2015. As a result, CVS is trading at a 5-year high yield. In this article, I explain why I'm adding CVS to DivGro. The article provides a full stock analysis and includes some risk factors, too. This week, four companies on my my watch list declared dividend increases, including one of the stocks I hold in my portfolio. Hormel Foods Corporation (HRL) ranked second in the March edition of my 10 Dividend Growth Stocks series of articles on Seeking Alpha. In fact, the stock has made the top ten list six times in the past year. The last time I looked at HRL, the stock was trading at $38.46 per share and yielding 1.51%. At the time, my fair value estimate was $34 per share, so I decided to stay on the sidelines and wait for a more favorable entry point.